Florida Southwestern State College: Questions, Answers, Photos. Florida Southwestern State College (FSW), formerly known as Edison State College, is one of the most frequently searched schools in America, according to a recent internet keyword search of two and four year colleges. Florida Southwestern College, originally established in 1962, is a public state college with a current enrollment of well over 20,000 students each semester. The student faculty ratio is about 27 to 1. Most classes at FSW have somewhere between 20 and 50 students in attendance. Florida Southwestern is accredited by the Southern Association of Colleges and Schools Commission on Colleges. Notable FSW alumni include pro golfer Fuzzy Zoeller, novelist Tina Wainscott, and Lee County sheriff Mike Scott, among others. Here are the answers to some frequently asked questions about Florida Southwestern State College. 1. Where is Florida Southwestern State College? The main campus of Florida Southwestern is located in Fort Myers, Florida. However, the school also has three other campuses in the general area. 2. What types of degrees are offered at Florida Southwestern State College? Florida Southwestern offers roughly 20 Associate's degrees, 10 Bachelor's degrees, and no less than 10 occupational certificates. 3. What courses and programs are offered at Florida Southwestern State College? The school places special emphasis on business management, education, health professions, and technology programs. These are the school's most popular majors. and quite a few other fascinating fields of study. 4. Who should attend Florida Southwestern State College? Florida Southwestern is a perfect choice for learners of all ages and from all backgrounds. More than one third of the ethnically diverse student body is over the age of 24. The school is particularly appropriate for people who are interested in pursuing business ventures, teaching, or health professions. This college is especially well suited to people who prefer warmer weather, and for those who are not too bothered by Florida's humid climate. 5. 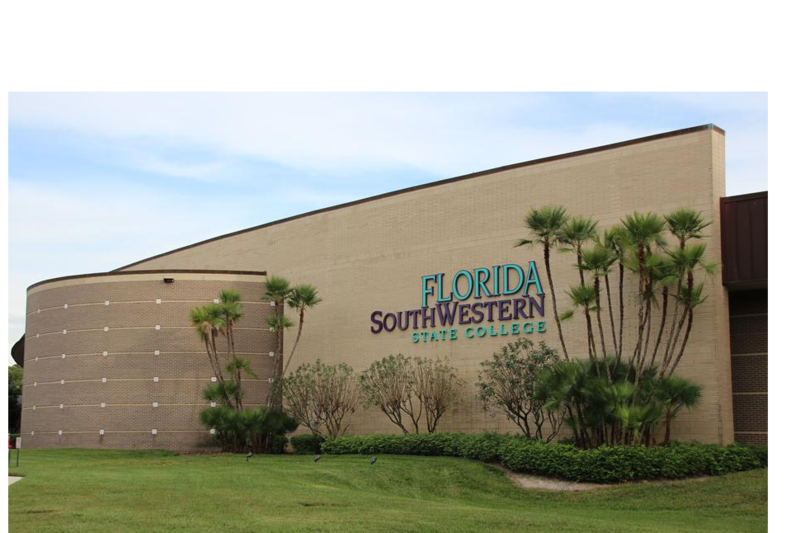 Why attend Florida Southwestern State College? FSW offers a broad range of both career and academic programs of study. FSW is a fairly easy four year college to get into, with an acceptance rate of about 80 percent. FSW allows dual enrollment, so students can choose to take double majors. FSW also offers non credit continuing education courses. Fort Myers is a fun city with beautiful, balmy weather all year round. 6. How much does it cost to attend Florida Southwestern State College? $12,978 per year for out-of-state residents, including international students. The tuition for online courses at FSW is the same as it is for traditional classroom courses. The estimated cost of books and supplies for all students is $1,650. Additional fees will also apply, such as a $30 FSW application fee. Roughly 58 percent of undergraduates at Florida Southwestern receive financial aid. The average need-based award is more than $5,000. Forms of financial assistance include scholarships, loans, grants, and work study programs. For grants, loans, and work study programs, students are required to fill out the Free Application for Federal Student Aid (FAFSA). Check with the financial aid office of Florida Southwestern to ask about any of these options. Use the contact info shown below. 7. How long does it take to earn a degree from Florida Southwestern State College? Approximately two thirds of the students enrolled at Florida Southwestern attend the school part time, while about one third of the students take on full time course loads. For full time students at FSW, it should take at least two years to earn an Associate's degree, and about four years to earn a Bachelor's degree. Students enrolled in double majors may take longer to earn a degree. As for part time students at Florida Southwestern, how long it takes to earn a degree depends on how many classes the student decides to take each semester. 8. What are the Florida Southwestern State College campuses like? The Lee county campus, which was previously known as the Thomas Edison Campus, occupies 140 acres between College Parkway and Cypress Lake Drive in Fort Myers. The 24 buildings on this campus include a library, a bookstore, a cafeteria, a theater, an art gallery, a sports complex, and a student center, as well as several classroom buildings and various science labs. This campus is also home to Florida Southwestern Collegiate High School, where students can earn Associate's degrees in conjunction with their high school diplomas. The Charlotte campus is situated on more than 200 acres of land in a wooded area on Airport Road in Punta Gorda. This campus also has a collegiate high school. The Collier County campus occupies 80 acres in the city of Naples. The Hendry Glades campus features various outreach programs. 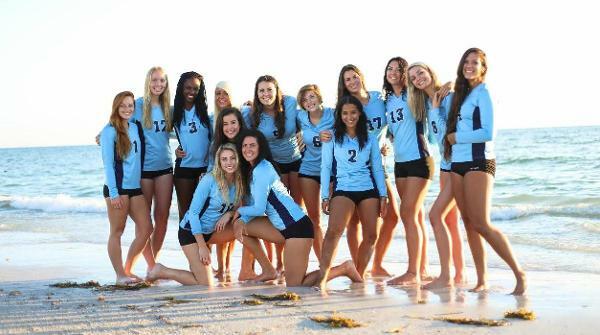 Florida Southwestern is home to a number of sports teams, collectively known as the Buccaneers. The team colors are purple and aqua. Intercollegiate campus sports for men and women include Baseball, Basketball, Softball, and Volleyball. 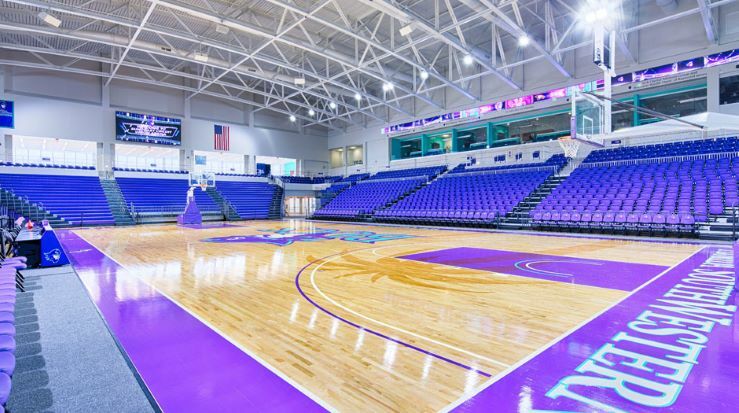 The main campus is now home to a new 3,500-seat sports arena called the Suncoast Sports Arena. Sports teams at FSW participate in the Suncoast Conference of the Florida State College Activities Association, which is part of the National Junior College Athletic Association (NJCAA). The campus also features daycare services for the children of enrolled students. 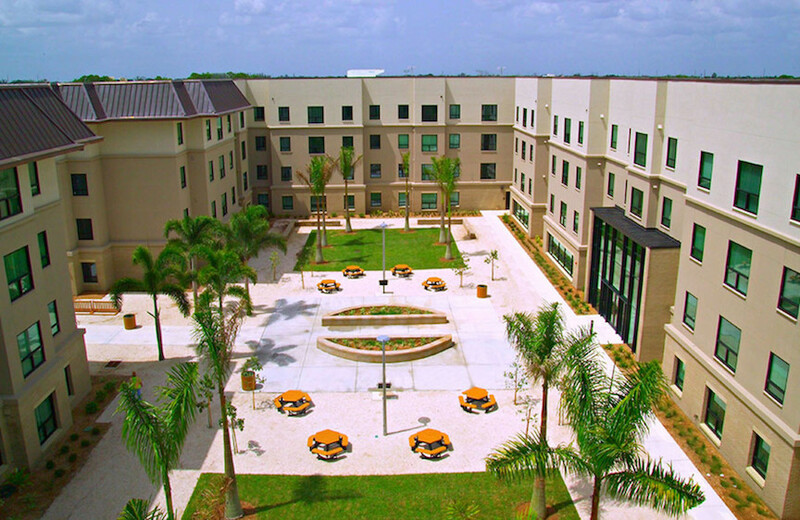 Most FSW students reside off campus and make their own housing arrangements, as there is very little on-campus housing at FSW. Light House Commons, located on the main campus, is the only on-campus student residence hall at FSW. 9. What are the Florida Southwestern State College neighborhoods like? The main campus of Florida Southwestern is located in the pretty city of Fort Myers, featuring many sights, attractions, restaurants, and entertainment venues. 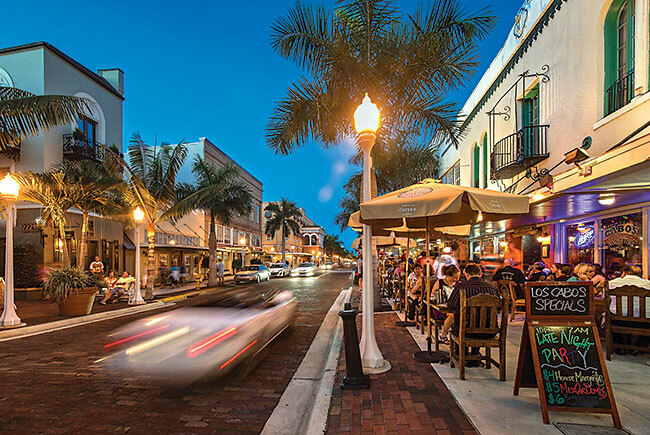 The heart of downtown Fort Myers is only about four miles north of the FSW campus. Just two miles west of the main campus is the Caloosahatchi River. The Charlotte campus of FSW is situated in the sweet little town of Punta Gorda, which hugs the shores of the Peace River, about 25 miles northwest of the main campus. The Collier Campus in Naples is located about 30 miles south of the main campus. Naples is an attractive community that borders the Gulf of Mexico. 10. What are the Distance Learning options at Florida Southwestern State College? In addition to many individual online courses, FSW offers ten online degrees, including Bachelor's degrees in cardio pulmonary sciences, management, nursing, and public safety, among others, as well as Associate degrees in accounting, arts, criminal justice, and early childhood education, to name a few. 11. What is the contact information for Florida Southwestern State College? To reach the main (Lee) campus of Florida Southwestern, call 239-489-9300. Or you can call the college toll free at 800-955-8771. To contact the Charlotte campus of FSW, call 941-637-5629. The reach the FSW Collier campus, call 239-732-3700. For the Hendry Glades campus in LaBelle, call 863-674-0408. To find out about online courses at Florida Southwestern, call 239-432-6782. 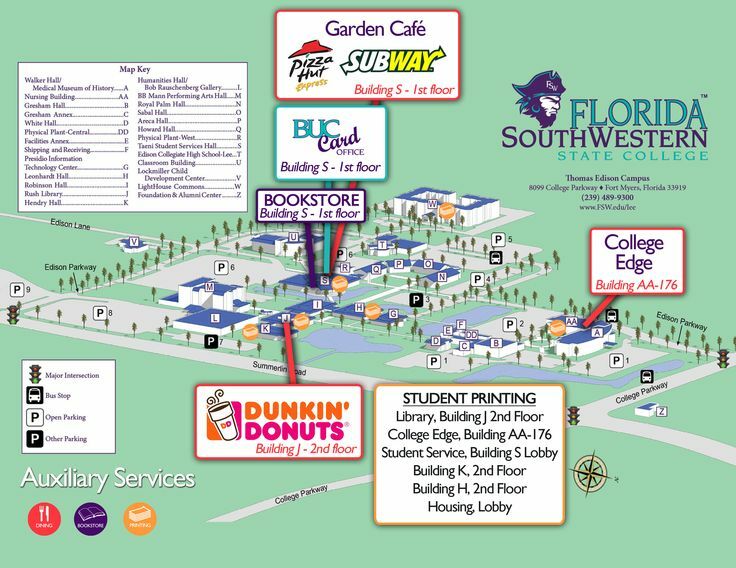 To reach the FSW on-campus housing office, call 239-432-7324.